Gabriella Love is so committed to a cause, a positive shift, so she changed her last name to Love to subliminally send a message of love out into the world. This spunky Air Canada flight attendant likes starting projects almost as much as I do! Selfies for Self-Love was her 365 project born out of her dislike of having her picture taken; she never thought she was ‘enough’. In an effort to cultivate confidence and self-love, she looked for the hardest thing – not the easiest, and committed to snapping a photo of herself every day for a year. As the project progressed, instead of it being a painful chore to snap and post daily, she actually began to have fun and felt a positive shift in the way she felt about herself. Her latest project is called A Human Series – and it’s about being seen, heard, and sharing stories of overcoming insecurities. 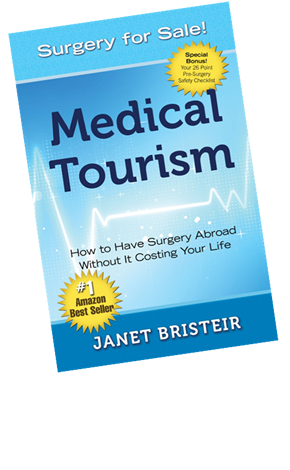 Janet Bristeir, a former OR Nurse and the author of Medical Tourism is on a mission to keep people safe when they go out of the country and pay for surgery. She shared some need to know information and important questions to ask. If you have had surgery abroad or are a healthcare practitioners who has been providing the follow-up care for patients returning from surgeries abroad Janet may want to interview you for her next book. You can contact her via her site. This entry was posted in Blog, Empowerment, Happiness, Health, Health Care, Personal Growth, Uncategorised, Wellness and tagged airplane, Blog, cjob, health, Stephanie Staples, wellness, Your Life Unlimited. Bookmark the permalink.